When you have missing teeth, the best thing you can do is replace them with a long-lasting, permanent restoration. 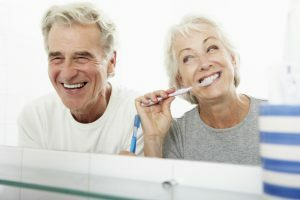 You won’t believe how much time and money the initial investment of dental implants in Lynchburg will save you in the long run. 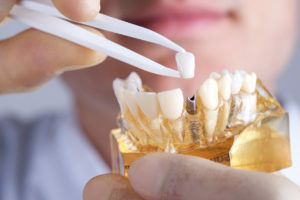 If you’re interested in repairing your smile with one of the best solutions in dentistry today, don’t let cost sway you from making one of the best decisions for your smile. Dental Implants in Lynchburg Need to Be Cared For Properly! When you better understand dental issues like tooth loss, your local dentist is able to address such conditions early on, often preventing them from developing at all. Unfortunately, tooth loss still happens even with our best efforts. It could be from uncontrollable dental disease or accidental trauma. Either way, tooth loss remains a problem for a significant number of patients. Luckily, advances in dental technology have paved a few different ways to effectively replace lost teeth. If you’ve lost one or more teeth, then speak with your dentist to find out if dental implants in Plano can help you restore your smile by replacing them. Comments Off on Dental Implants in Lynchburg Need to Be Cared For Properly! 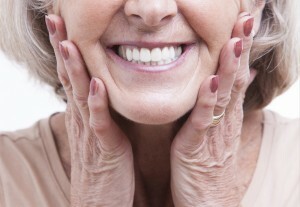 Missing teeth may pose many problems that patients don’t realize. That’s why it’s so important to replace them and as soon as possible! If you have missing teeth, it may be daunting to decipher through the various tooth replacement options. Here’s a quick guide to compare dental implants in Lynchburg and dental bridges! If you want to replace your missing teeth, don’t rely on traditional prosthetics alone—not when modern dentistry has paved a way with dental implants in Lynchburg. 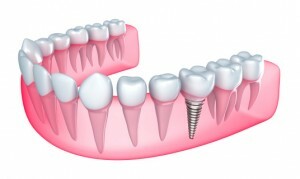 Modern dental implants are a relatively new way to replace missing or damaged teeth. Implants look, feel and function just like natural teeth, making them the perfect option for enhancing or restoring your smile. 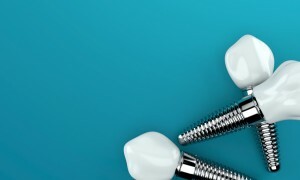 You may still have some questions about dental implants, which we hope to address in this blog. As a grandparent, there’s nothing that makes you smile more than spending time with your children and grandchildren. Seeing your legacy right before your eyes makes you feel accomplished and brings a grin to your face – but when you smile, there are some noticeable blank spots. You want to address your missing teeth but aren’t sure if dentures in Lynchburg are the right option for you. But luckily for you, the team at Peery Family Dentistry have all the details you need on these artificial teeth. In this post, you’ll learn about partials, dentures, and implant-retained dentures from our experts. When you picture the dentist’s office do you automatically start playing a black and white movie in your head where the Doctor is holding extremely sharp tools, looming over you, and laughing evilly? Don’t let your imagination run too wild. Your dentist’s main job is to save your natural teeth from ever having to be pulled. At Peery Family Dentistry, Dr. James M. Peery, Jr. and Dr. James M. Peery, III will do everything in their power to save your tooth. However, if a tooth has decayed enough, performing a tooth extraction in 24501 may be necessary to save the rest of your teeth. If your oral health calls for it, our father-son duo has the knowledge and tools to make your extraction quick and comfortable. A dental crown is used to completely cover a tooth that is damaged by severe decay, a traumatic injury or a crack. Although cemented to your tooth, a dental crown can sometimes loosen and fall out. If this happens to you, then you have absolutely nothing to worry about. Peery Family Dentistry offers same day dentistry in Lynchburg, so we can design, build and place a new crown on your tooth in just one appointment. Civil War reenactments are your favorite hobby. There’s nothing better than putting on the uniform and taking the field for a history buff like you, especially now that you’re a starring part of the engagement. As an officer, you give a riveting speech to your troops before the battle begins. But, there’s nothing less you want than to have the color of your teeth make your troops think you actually lived through the 1800s. You decided to take matters into your own hands and bought some of those whitening strips Food Lion, but it’s been weeks now, and you’re not seeing the results you want. Rather than continuing to spend loads of money on products that just don’t work, you wonder, ‘Who is the right choice for me for a cosmetic dentist in Lynchburg?’ Peery Family Dentistry, a leader in family and cosmetic dentistry, has a dedicated team who knows how to make your teeth sparkle from the battlefield. That gaping hole in your smile is not the only reason to make sure you have a tooth replacement. Consider that even one missing tooth can affect the way you talk, your ability to speak clearly and, of course, your self-confidence. Perhaps the best tooth replacement option is a dental implant. With this prosthetic, you’ll have a new tooth from root to crown. Drs. Peery and their team at Peery Family Dentistry would be happy to help you once again have a complete smile with dental implants in Lynchburg. Are you unhappy with the appearance of your smile? If so, you are not alone. In fact, it is estimated over half of adults are concerned about the appearance of their teeth. With the appearance of your smile impacting your confidence, you can improve your quality of life with cosmetic dentistry. Now, several advancements in dentistry allow your cosmetic dentist in Lynchburg to transform your smile with simple procedures. Among the most highly sought services include dental veneers and professional teeth whitening treatments. These two procedures will drastically enhance the appearance of your teeth for a confident smile.